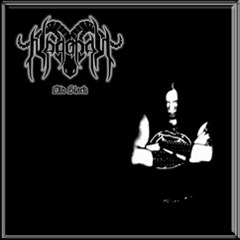 Nachtgarm, Trolfbert, Berthelm and Tramheim appeared under the banner of NEGATOR to revive the former values of black metal in february of 2003. They recorded their debut album „Old Black“ in august 2003 and hence, they got a deal with REMEDY-RECORDS. „Old Black“ was released in february 2004 – the responses have been excellent. Afterwards NEGATOR established in the black metal scene and gave club concerts together with Marduk, Behemoth and Belphegor as well as several festival gigs (Party-San, Metal-Bash). Once again, NEGATOR entered the EiKey studio of Eike Freese (Dark Age) in july 2005 to record their second album „Die eisernen Verse“. While „Old Black“ has been recorded in order to give a documentation of their roots, the new release is more independent. Even if the songs are much faster and completely without synthesizers, „Die eisernen Verse“ are more individual and perfected. Once again, NEGATOR created a brutal sound, which differs from customary black metal releases and convince with catchy riffing. „Die eisernen Verse“ is about why NEGATOR do what they do. It has to be seen as a manifestation of pure passion and elder values made flesh. 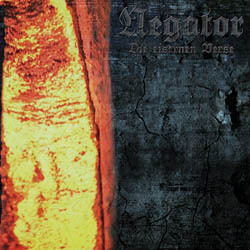 NEGATOR are still influenced by the old spirit of black metal, but they come up on their own way. First of all they attached importance to a well-produced sound and made a further step when they composed the new stuff – far beyond all primitive black metal waste even as glamour black metal they offer music on the highest level and show how to create black metal which sounds authentic still in 2005. After playing more gigs and a short european Tour in October 2006, together with SARKOM and KOLDBRANN, Trolfbert, Unholz and Tramheim decided to leave the band to walk on different musical ways. After that Berthelm and Nachtgarm started searching for new musicians who could fill in the empty slots and after a short while Finnskald joined on Guitar and Thorfried on Drums. In this Line-Up they started rehearsing again and still they searched for a new Guitar Player. After months of auditions and rehearsing Axtwald was found and he now completes the Line-Up since May 2007. The Panzers are rolling again! Be prepared!